Looking to up your fitness this year but aren’t so keen on spending your Saturday morning with dumbbells? We feel you! Especially this time of year when the Cape Summer is calling you to be outside and try something new. Get those endorphins flowing and those muscles growing with these 5 unconventional ways to fitness in Cape Town! The colony of African Penguins just outside of Simon’s Town is a must-see for anyone who hasn’t spent time with these awesome little creatures. If you’re into a little more movement than the average tourist, why not take it up a level and actually Kayak to these little dudes? 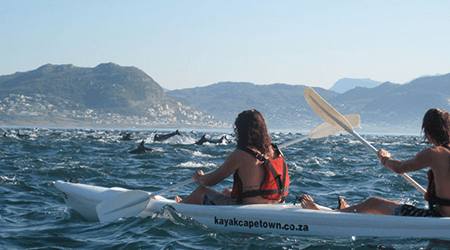 Kayak Cape Town offers a guided tour every day of the year if the weather is kind enough. 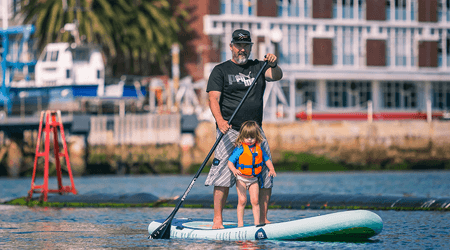 They have no minimum fitness level as well – anyone who is able-bodied can hop into a Kayak and enjoy the weather, the ocean and the penguins all in one awesome trip! Want to try rock climbing but aren’t quite confident enough in your spidey skills to take it outdoors? Have a look at CityROCK in Cape Town. 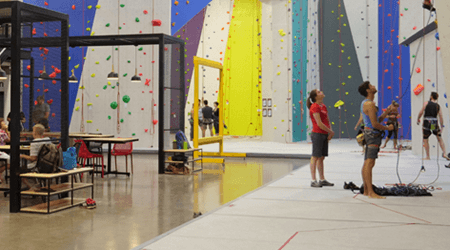 These indoor climbing facilities include a large bouldering area (for those who are a bit more advanced) as well as high walls for roped climbing. While you’re there, grab a coffee with friends before you set out on your climbing adventure in their coffee shop. Safety first though- you’ll need to do their rope belay course before you can start practicing your Spiderman moves on their walls! They also encourage you to do their Intro Course. This is a once off 1-hour session held Monday to Thursday evenings between 7 and 8pm and Saturday and Sunday Mornings between 11 and 12pm and again from 2 – 3pm. It costs R250 per person, including gear rental (Shoes and Harness). Where: CityROCK, 9 Milner Street, Unit 5 Table Bay Industrial Park. How much: R400pp for a single lesson, R350pp for a twin lesson and R300pp for a group session. 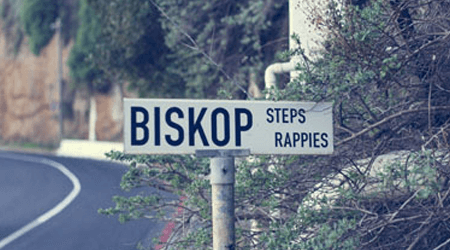 If you’re into fitness, it’s quite likely you’ve heard of the Biskop Steps – these stairs are a favourite among Cape Tonians to take their training up just a notch. With the element of intensity and beautiful views, why not give these trappies a go one Saturday morning and follow it by a dip in the ocean to cool down? Challenge yourself and see how many times you can go up and down in 30 minutes! When: Whenever you want! Just take note that parking may be full during certain times of the day. Earlier is always better! With wine farms, trail running, markets, coffee and a view – who wouldn’t want in? 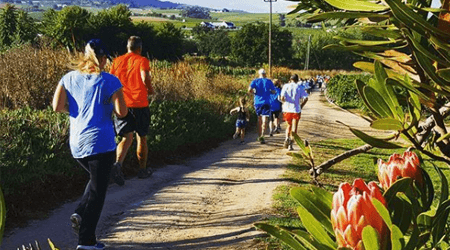 Run between the vineyards in this beautiful 5km timed Parkrun, followed with coffee and snacks and shopping at the well-known Route 44 Market at Audacia Wine Farm. Parkruns do not require a minimum fitness level – all you need to do is sign up online, get your barcode and pop on your sneakers! They’ll email you your result after the run, along with your placing.